Origin: This town was named for Augustus Henry Fitzroy, Duke of Grafton, Earl of Arlington and Euston, Viscount Thetford, and Baron Sudbury. The Duke was a pro-American member of English government prior to the Revolution, and related to Governor Benning Wentworth. Grafton County and Thetford, Vermont, were also named in honor of the Duke. Grantees of the initial 1761 charter voted to surrender their grant in 1762. The land was regranted in 1769 to new colonists, including John Hancock and James Otis, well-known Boston patriots. Population Trends: Population change for Grafton totaled 985 over 52 years, from 348 in 1960 to 1,333 in 2012. The largest decennial percent change was 100 percent between 1970 and 1980, nearly doubling the population over those ten years. The 2012 Census estimate for Grafton was 1,333 residents, which ranked 170th among New Hampshire's incorporated cities and towns. Population Density and Land Area, 2010 (US Census Bureau): 32.2 persons per square mile of land area. 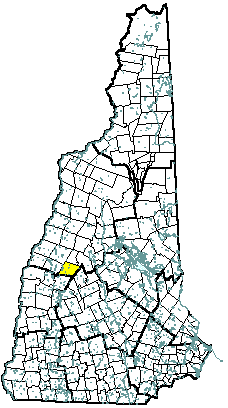 Grafton contains 41.7 square miles of land area and 0.9 square miles of inland water area.